Virginia plans an HOV enforcement campaign on Interstate 66 inside the Capital Beltway to ensure solo drivers are not simply cheating their way to a free ride. 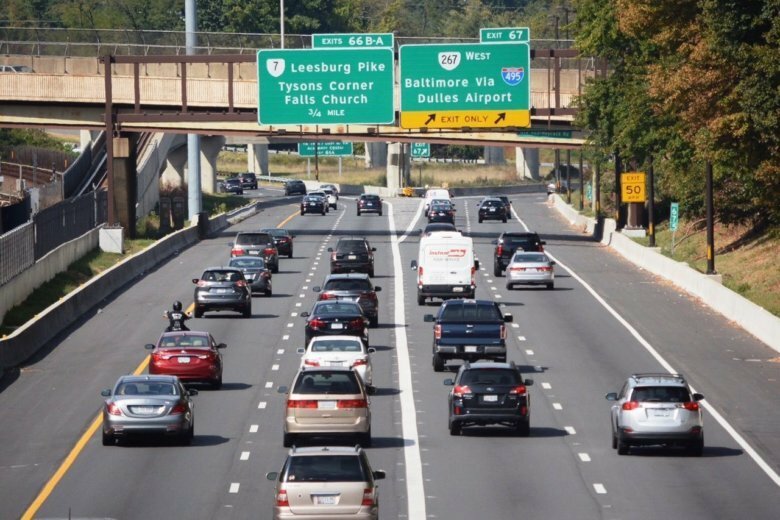 WASHINGTON — Virginia plans an HOV enforcement campaign on Interstate 66 inside the Capital Beltway to ensure solo drivers are not simply cheating their way to a free ride. As the raw number of vehicles using I-66 during the hours drivers must pay tolls if they ride alone has slowly risen over the last six months, the proportion of users with an E-ZPass Flex switched to HOV mode to indicate they have at least one other person in the car to qualify for a free ride has remained around 43 percent. From the start of tolling Dec. 4 through the end of March, 171 drivers were cited by Virginia State Police for wrongly attempting to get a free ride. Enforcement was a problem before tolling began under the old HOV hours, which was one reason tolls were implemented. More than issuing more tickets, increased enforcement is aimed at deterring cheating, Donohue said. “I think that will help us understand the degree to which that increase [in the raw number of HOVs] is more people choosing to carpool or more people choosing to see how lucky they are that day,” Donohue said. Increased carpooling was among the goals of instituting the tolls for solo drivers and expanded HOV hours. Based on the indications from E-ZPass transponders, peak HOV usage now is at the same time as peak tolls, between 8 a.m. and 9 a.m.
From 7 a.m. to 9 a.m., more than half of drivers on average indicate they are carpooling. The state plans to keep monitoring I-66 inside the Beltway and parallel roads. In addition to increased HOV enforcement, Virginia is considering fixes for the merge from the George Washington Parkway onto the Roosevelt Bridge such as a dedicated entrance lane, and is in the process of widening I-66 eastbound between the Dulles Connector Road and Ballston. That widening, due to be complete in 2020, is expected to eliminate some of the extreme levels of morning tolls by eliminating the chokepoint there. Virginia is also in the process of evaluating and testing changes to the tolling system that could lower prices sooner if the changes do not create other traffic issues. “I cannot promise you we will be successful in that testing. What I can commit to you is that we are going to try it,” Donohue said. For example, the state is considering how much lower tolls would need to be at 7:45 a.m. to lure some solo drivers to commute then rather than at the height of rush hour around 8:30 a.m. Since tweaks are ongoing, results of the testing may not be available for several months.